Po from the movie Kung Fu Panda might be munching on dumplings and other Chinese delicacies. But in reality, pandas are known to enjoy munching on a very sustainable and easily growing plant known as bamboo. This plant has been around for ages and has benefited not just pandas, but also people in various ways. Coconuts might be known as the tree of life, but bamboo comes a close second because it is used for various purposes. Bamboo is so strong that it is used to build houses and roads in different countries. At the same time, however, it is also so fine that it is used as bedsheets. In fact, you can easily purchase bamboo sheets online and change your sleep experience for the better. Still wondering how bamboo sheets came to be? Keep reading. Back in the days before scaffoldings are made of metal, people use bamboo as a construction tool to help them reach high places. No wonder it is hard for some people to imagine how something as big and as strong as bamboo can produce as silk-like fabric. Generally, the fabric taken from the bamboo plant is known as bamboo linen. The stalks are crushed and are broken down by natural enzymes. It then turns to pulps where the fiber is mechanically combed out and is spun into yarns. These yarns are the ones that are used to make various textile products, one of which are bamboo sheets. Even though it is already on its fabric form, bamboo still carries a lot of uses and benefit. Below are some of the most common ones. Eco-friendly. Bamboo can easily grow anywhere making it a sustainable choice of textile source. There are a lot of ways to manufacture bamboo sheets that are eco-friendly and produce as little waste as possible. Hypoallergenic. The plant itself has natural anti-bacterial properties. 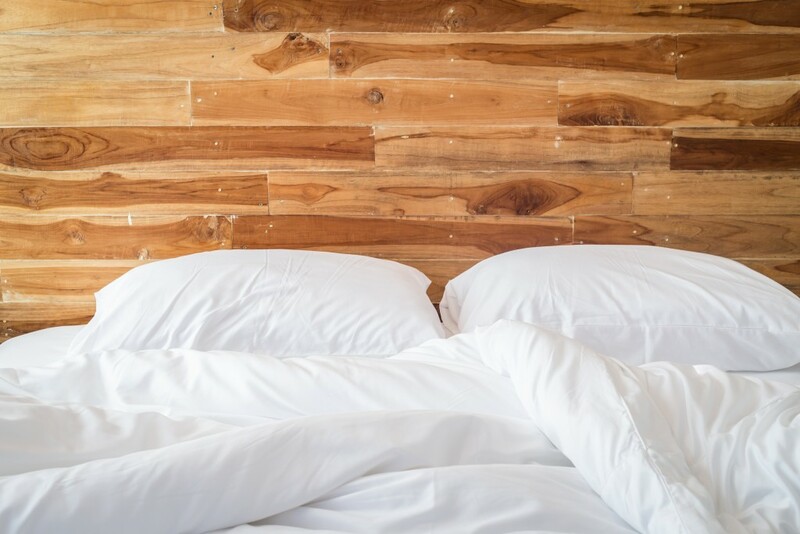 Once it is turned to sheets, it still possesses these qualities and is one of the reasons why people who have sensitive skin, or those who simply a more hygienic experience use bamboo-based products. Durable. It might be soft, but bamboo products have proven to be durable even in its thinnest forms. It is important to replace your sheets regularly and wash it properly. A good quality bamboo sheet will be able to stand this process and still feel as silky and as comfortable as a brand new one. Regulates body temperature. The kind of sheets you use for your bed is highly dependent on the seasons. Bamboo sheets, however, are an exception. It can keep your body cool during the summers and help keep the warmth during the winters because of its thermos regulating properties. That is versatility and practicality for you. Making the change from regular sheets to bamboo ones might not be in your priority. But after knowing all these perks from making the change, more and more people are investing in one and is enjoying the benefits of bamboo sheets.